An authentic recreation of the notorious wizard’s wand and walking stick. Walking stick measures 46 inches. 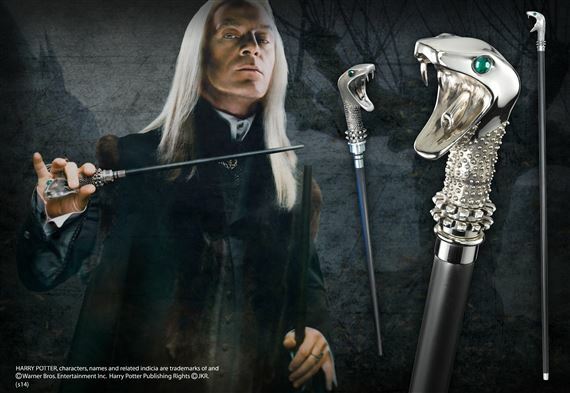 The wand is hidden within the walking stick. Wand measures 18 inches in length. Silver plated and set with genuine crystals.